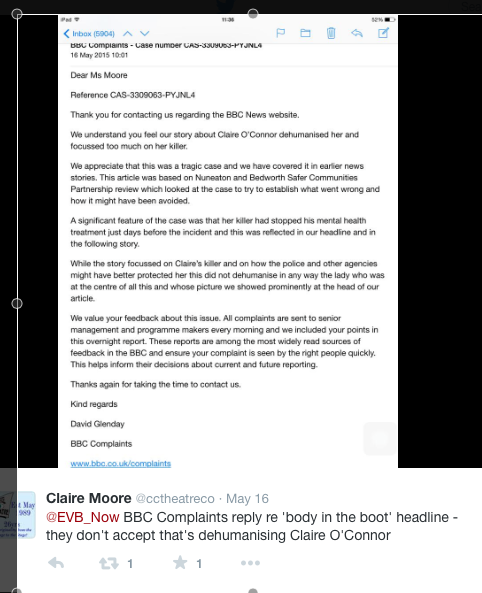 This is a response from the BBC to a complaint raised by Claire Moore about their coverage of the murder of Claire O'Connor who they dismissively refer to as "the body in the boot". We wrote about their coverage here. As ever, the BBC refuses to acknowledge that their coverage of women's murders is disgraceful and inhumane.